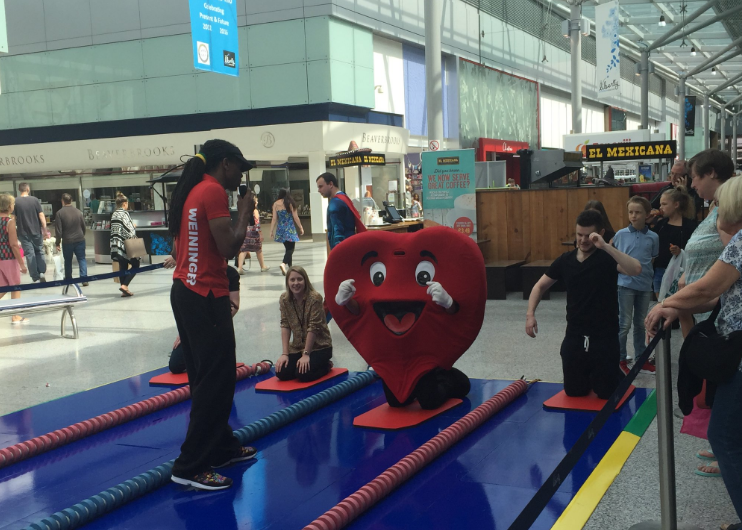 The Liberty Shopping Centre is set to slide Essex and East London into the summer spirit, by offering the chance to win a £500 donation to charity by participating in its summer ‘Wild Slyde’ WRS Resistance Sliding activity. Between Monday 24th – Friday 28th July, and Monday 28th August – Friday 1st September, the unique, impact-free sport ‘Wild Slyde’ will return to the shopping centre for children and adults of all ages and abilities to enjoy. As well as the people of Romford and its surrounding areas, The Liberty is inviting its shoppers, local companies, charities and community groups to take part in the activity. The person who achieves the fastest overall time during the two weeks will receive a £500 donation to a charity of their choice. The shopping centre will also be giving out £20 gift cards from The Liberty to ten lucky individuals who successfully slide to the fastest time of the day. The ‘Wild Sylde’, that was created by Weininger Irwin, the UK’s first ‘Gladiator’ champion, is a sport that everyone can enjoy, regardless of physical ability. Sliding on a specially designed mat, the aim is to get to the end of the course before your competitors and record your time, hoping that you’ll beat the rest! Jonathan Poole, Centre Manager at The Liberty, commented: “Last year we saw the chance to win a charity donation stimulate some healthy competition and friendly rivalries between friends, family, colleagues and professionals across the county. Weininger Irwin, creator of WRS Resistance Sliding, aka Wild Slyde added: “This competition is a great opportunity to get involved in a seriously fun competition while supporting local charities.